The leadership development SERIES is vital for the decision makers in your organisation. Those who deal with people on a daily basis have an impact on the performance of those around them. Flexible, modularised and adaptable, the leadership development SERIES will make that impact a dynamic and positive one, by providing the processes and tools for developing effective leadership. This module explains the background model upon which this program is based. It gives an overview of what is to come and processes the results of diagnostic. It defends the rationale for the two capabilities and shares some learning strategies. There is also an extensive reading list at the end of the workbook. This module explains five key dimensions to effective interpersonal behaviour: two interpersonal factors, Influencing and Responding; two work habit factors, Deciding and Organising; and Behaviour Flexibility, which applies to all the others. Participants learn about their own interpersonal behaviour, how to identify other people’s, and, most importantly, how to adapt interpersonal behaviour in the service of effective leadership. This module relates very closely to module one, in that it looks more closely at how we communicate with different people. It also deals with persuasiveness, openness and listening, the heart of good communication. This module introduces four modes of negotiating: compromise, compete, concede and cooperate. Flexibility is important but Win/Win is always the aim. It also explains the five phases of the negotiating process, and how to prepare for the negotiating event. This module looks at the skills of general counselling and applies them to performance counselling, personal counselling and career counselling. 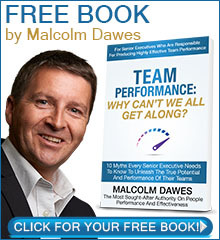 This module introduces the characteristics of both high performing teams and their team leaders. Participants learn about Participative Decision-Making, especially in the context of the Vision Building Process. A six step problem solving essentials process is introduced in this module. Participants also learn about the four main intelligences, and how different people approach problems in different ways and how to use this as leverage, rather than an impediment. This module reviews the formal concepts of analysing and looks at the elements of perception, and how both can be deceptive. This module familiarises participants with the three elements of Positive Orientation: control; reframing; and optimism. It also deals with such concepts as Intuitive Thinking, Emotional Balance and Sense of Humour. This module makes the distinction between Innovative Improvement and Innovative Inventions. It deals also with creativity and how to promote it on the job. Here participants learn how they learn, how to work with people who learn differently and how to promote learning as part of the organisational culture. All Modules have connections to other modules, yet are independent of each other. Each includes extensive practice and practical application with the ability to be adapted to specific industries or situations.